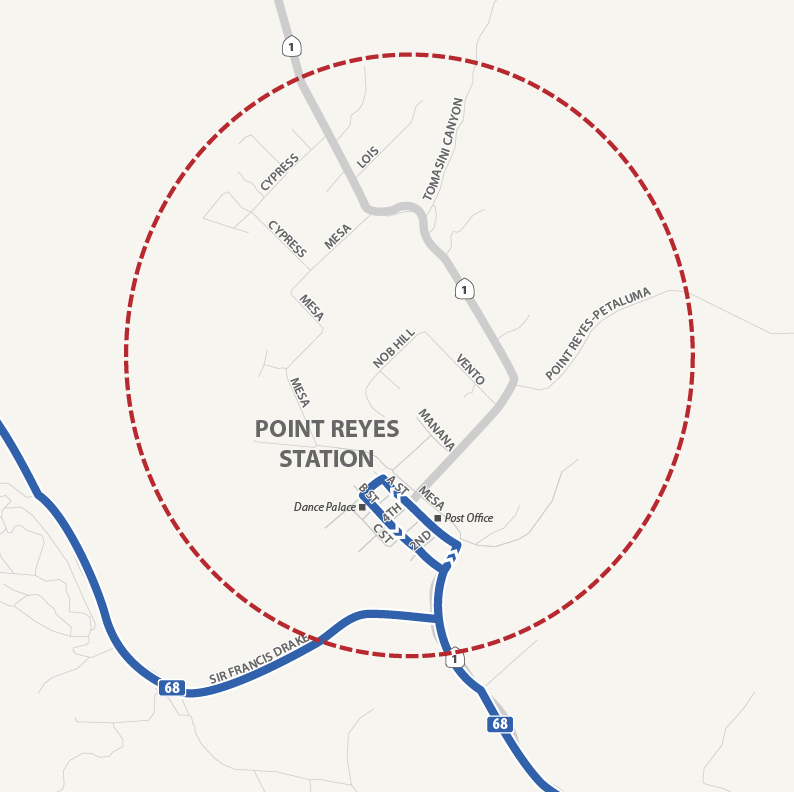 The Point Reyes Dial-A-Ride provides passengers curb-to-curb pick-up and drop-off service between Point Reyes Station and Novato on the first and third Mondays of each month. Reservations are required and can be made by calling 415-892-7899. Reservations must be made by 12:00 pm the day before and can be made up to seven days in advance.